Gated residential complexes offer restricted access to its residents, and are designed to privatisea space. Such residential complexes provide their own security, maintenance, parks, garbage collection, recreation, and other services. Most of the gated residential areas are built for segregation and safety. Lighting is a necessity and plays a significant role in securing any area. Better illumination improves visibility and incorporates a sense of security among people. It also helps in minimising accidents and hazards at night. The need for proper illumination is often understated. However, it is getting the required traction from both the authorities and public. Conventional lighting systems power existing street lighting and suffer from serious problems like inefficiency, high maintenance costs, power wastage and even pilferage to an extent. LED technology continues to manifest itself in different areas and is taking over the lighting industry rapidly.Cities around the world are making a change by adopting LEDs to light their streets, landscapes, residential complexes, and public spaces. In addition to being highly energy efficient, the LED street light price is competitive, making them the absolute solution for lighting residential complexes. LED luminaires have proven advantages and are a boon from different perspectives for gated residential complexes and other public spaces. Let’s see how LEDs bridge the gap and make up for the better economies of scale. LED luminaires area highly cost-effective lighting solution. They generate better illumination while using as much as half of the electrical power consumed by the other conventional lighting solutions. Maintenance is one of the biggest challenges of lighting solutions, especially in public spaces since it can concur enormous costs. LED luminaires are maintenance free because they are designed to work for 50,000 hours of continuous operation without failure. It reduces maintenance costs significantly while providing superior illumination. For gated residential complexes, LED luminaires are advantageous since they reduce operating expenses in the long run. Security is one of the major USPs of a gated residential complex and LED luminaires fall right in by providing the best possible illumination at a fraction of operating costs. They are also configured to generate consistent illumination in the area they are employed. No dark areas, or scope for shadows, in and around gated residential complexes ensure better round the clock security. LEDs use semiconductor technology which makes them fundamentally compatible with processing, sensing, and networking devices. Street lights powered by LEDs can be automated using sensors which can turn the lights on and off based on the movement of people. This helps in further cost reduction. LED luminaires offer instant illumination and are flicker free, so they would turn on as soon as the sensors detect any movement. Furthermore, LED Street Lights can be integrated with IoT (Internet of Things) and can be managed extensively by a facility manager over a network. This helps in identifying faulty luminaires while aiding in comprehensive maintenance. Getting accustomed to the idea of a greener environment is the need of the hour. Subsistence living is crucial,and authorities must encourage people to adopt practices that will save the environment. LEDs are free from hazardous elements like lead, mercury and glass which helps in minimising the carbon footprint. They also emit less heat and are 100% recyclable. Due to the scarcity of land, rising population and increased crime, the idea of gated residential complexes serves India well. 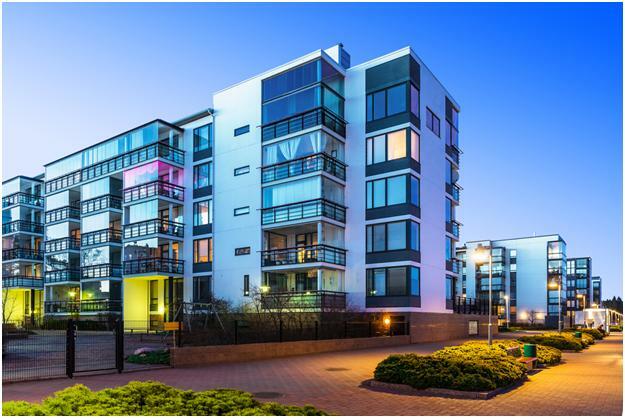 Gated residential complexes provide unparalleled advantages and safety is one of them.To take the security further, the use of LED street lights is imperative and must be implemented for improving the experience.